Loyal, charismatic and passionate: three words 19-year-old Alec “AJ” Torchon’s friends used to describe him in his eulogy. Torchon’s father, Ric, gripped the sheet of paper containing those words as he sat in his family’s Marin living room. He slowly, delicately read aloud the sentences written by those closest to his son, a jazz drummer at Novato High School: “No matter what he did, AJ kept his beat,” he read. The beat stopped last December when AJ Torchon suddenly died after taking a prescription drug at college in Santa Barbara. AJ graduated from Novato High with a 4.0 GPA. He was in his first quarter of his sophomore year at UCSB majoring in bio psychology. It was not an unexpected educational path for an Advanced Placement student to follow, but his sudden and tragic death was something no one could have predicted. AJ Torchon is not alone: Deaths from prescription drug abuse are on the rise across the country. Prescription drug abuse caused more deaths than heroin and cocaine combined, according to the Centers for Disease Control and Prevention. That’s why California lawmakers are taking a first-of-its-kind approach to tracking prescription drugs in order to reduce the problem. 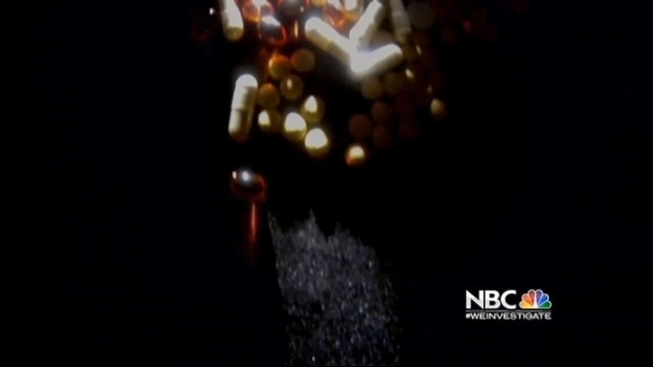 “There are a lot of pills floating around this state, and it’s pretty scary,” said Agent Bruce Goldberg, of the US Drug Enforcement’s San Francisco field office. California is handing out the most prescriptions in the country, according to the Kaiser Foundation, with 3.9 million scripts filled in 2011. Goldberg believes, with more drugs out there, those drugs become more easily accessible to young people. The young people who get their hands on these drugs, Goldberg said, often pop the pill without realizing the consequences. “Kids are playing Russian roulette with their lives by ingesting things they are not aware of how dangerous they are,” Goldberg said. According to a study by Trust for America’s Health, deaths from drug overdoses have quadrupled in the last decades in states like West Virginia, Iowa, Indiana and Kentucky. In California, deaths are up 30 percent. As a result, California lawmakers this year passed a first-ever law that funds a proactive tool to fight prescription drug abuse using technology. It’s called the Controlled Substance Utilization Review and Evaluation System, or C.U.R.E.S. C.U.R.E.S. allows licensed health care prescribers and law enforcement to access the prescription information of patients via an online database, enabling doctors, pharmacists and the Justice Department to see patterns of prescription. The system is intended to help prevent doctor shopping and prescription drug abuse. The funding needed to put the system into effect and maintain it annually was signed into law by Governor Jerry Brown in September. C.U.R.E.S. funding will come from licensing fees charged to those who prescribe drugs. It is estimated to cost $5 million to set up and another $5 million to maintain each year. “These are drugs that are meant to alleviate pain, and they are causing too much pain,” State Senator Mark DeSaulnier, author of the funding bill, told the Investigative Unit. Senator DeSaulnier said he was motivated to get this law passed by the personal stories of Bob Pack, of Danville, and April Rovero, of San Ramon. “Their (families’) personal stories made a big difference to me,” DeSaulnier said. Pack and Rovero are two Bay Area parents with different, but equally tragic stories of prescription drug abuse. Both Pack and Rovero lobbied for C.U.R.E.S. and its funding. Pack’s 7-year-old daughter, Alana, and 10-year-old son, Troy, were both killed nine years ago when a driver high on muscle relaxers ran them over while they were walking with their mother to get ice cream on a Sunday afternoon. Pack, a software engineer, helped develop the foundation of C.U.R.E.S. and then lobbied for it in the hope of preventing similar tragedies resulting from prescription drug abuse. April Rovero shares that passion. Joey was at Arizona State University four years ago when he took a trip to Los Angeles with some friends, went to various doctors to pick up a variety of prescriptions, and then overdosed at a party back in Arizona. But April wants people to remember her son for more than just one bad choice. “He’s way more than just a drug overdose. He was well loved. He was a great kid great family great potential,” Rovero said. What would Rovero tell her son if she had another opportunity? As for C.U.R.E.S, current law requires doctors enroll, but doesn’t mandate they use it for every prescription they give. Senator DeSaulnier hopes to add on to the law in the future. “I do think that what we’re doing is going to make a significant dent in the increase in abuse of prescription drugs in California,” he said. The Torchon family has also started a counseling foundation in memory of AJ and wants to encourage all parents to talk to their kids about the dangers of abusing prescription drugs. “Tell them what they know about this tremendous young man who didn’t get to live the rest of his life,” Ric Torchon said.